Conferences, trade shows, and other professional events give you the chance to network, market your brand, and learn about new industry trends. These events are especially important if you’re in forex or equities trading or the online gaming industry, because technology has increased the speed of change in these sectors. To be successful, it’s important to attend professional conferences. You have a lot of choices when looking at conferences and networking events for forex and equities trading and online gaming. To get the most out of your conference trip, think about your goals. If you’re interested in learning more about a topic, look for an event that has seminars or presentations on that topic. 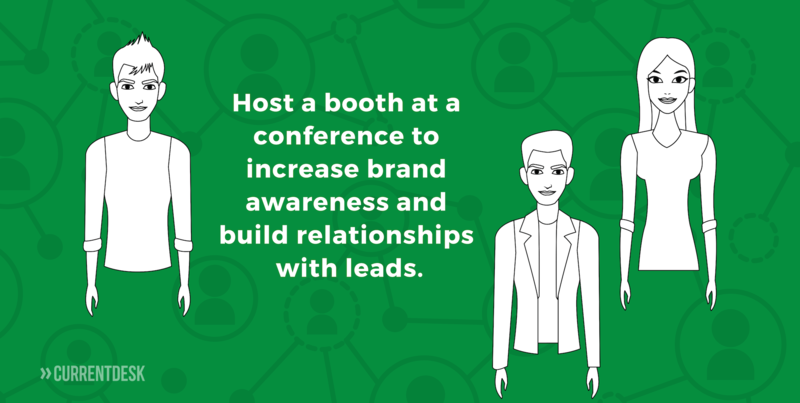 If you’d like to increase awareness of your brand and showcase your offerings, pick an event where you can be a sponsor or have an exhibit booth. And if you want to network, choose an event that brings people from across your industry together. The best conferences offer all of these things. Here are CurrentDesk’s picks for the best forex conferences, equities conferences and gaming conferences to attend. Finance Magnates’ London Summit has been held annually since 2009 and is the most prestigious forex event in Europe. Attendees and presenters include retail brokers, industry leaders, asset managers, and fintech executives, so you’ll get to network with people from all aspects of the forex community. Speakers will present on topics like client management, FX technology, blockchain, cryptocurrency, liquidity and more. If you want to use the Finance Magnates London Summit for additional brand exposure, consider becoming a sponsor or hosting an exhibit. Visit the event website to learn about sponsorships and branding opportunities. iFX Expo Asia, hosted by Finance Magnates and Conversion Pros, is one of the largest professional events for cryptocurrency, CFD, and forex traders in Asia. It includes seminars, workshops, and presentations on liquidity, marketing, regulation and other topics of interest to the forex trading community. The multi-day event also offers plenty of opportunities for networking. You can sponsor an event or set up an exhibit booth. Both of these give you the opportunity to increase brand awareness and build relationships with potential clients. Visit the iFX Expo website to learn about your options. CoinDesk, a digital media company that reports on crypto and blockchain news, hosts three blockchain conferences: Consensus and Invest in New York City, and a recently created Consensus: Singapore. Both the New York and Singapore Consensus conferences address all aspects of blockchain technology, including cryptocurrency, blockchain mining, and cybersecurity. In addition to presentations and networking opportunities, the conferences include a funding competition for teams working on blockchain technology and a hackathon. The Invest conference focuses on investment opportunities related to blockchain digital assets. Speakers present on topics like regulation and integrating new financial systems with existing ones. Sponsorships are available for all three conferences. Contact CoinDesk for details. 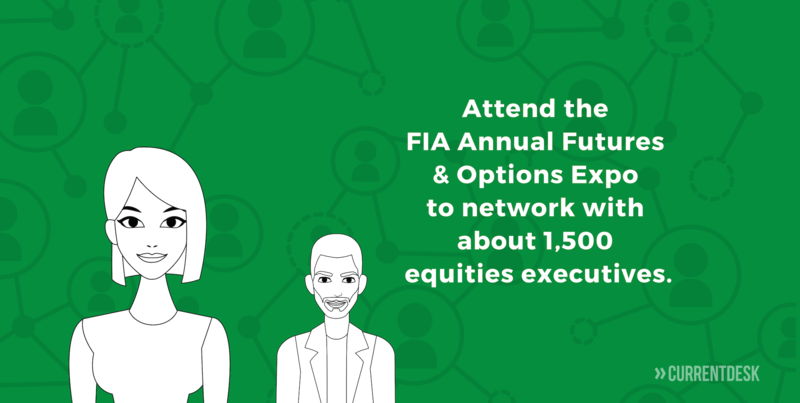 The FIA Annual Futures & Options Expo takes place in Chicago and includes a trade show and two days of presentations on important industry topics, like trade policy, regulation, and digital assets. The event is typically attended by about 4,500 people, and about one-third of those are executives, making it a great event for networking and marketing. The expo also has a innovators competition for fintech startups. The winning company receives marketing support and a cash prize. Sponsorship opportunities start at $2,000, and booths in the exhibit hall start around $4,600. Visit the FIA Expo website to see a complete list of sponsorships and exhibition options with prices. The ICE London conference is a B2B conference with presentations and activities for all members of the gaming industry, including operators, regulators, financial services, and fintech providers. It’s attended by over 30,000 people from more than 150 countries, making it a truly global conference. The ICE VOX event takes place simultaneously. It focuses on in-depth learning opportunities around the topics of blockchain; cybercrime and security; data science and personalization; world regulation; eSports; casinos; game design and development; and lotteries. For increased visibility, you can be a sponsor or set up in the event’s exhibit space. Visit the ICE London website to request information on sponsorships and exhibits.